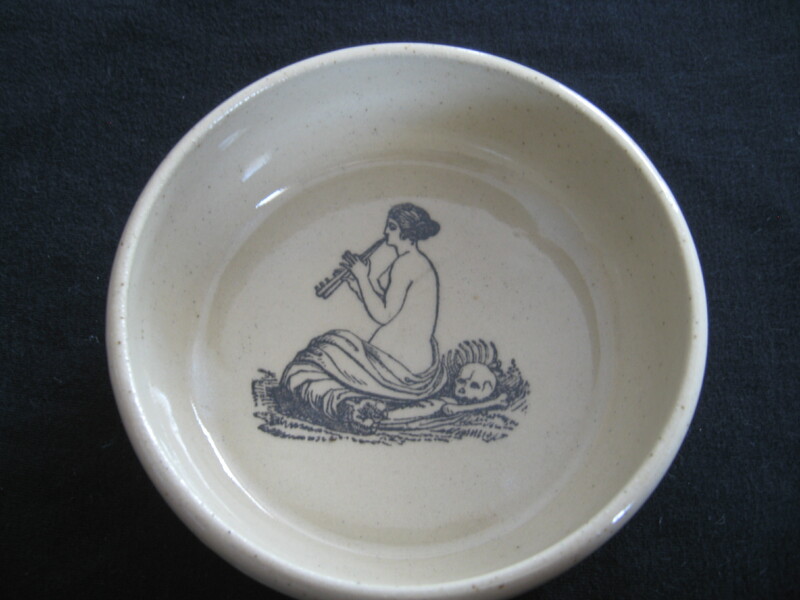 This large beautiful bowl displays a sneaky harpy with bones. It measures roughly 7″ in diameter and 500 ml / 2 cups / 16 oz. in size.